AWARD WINNING Washington Wines poured locally. 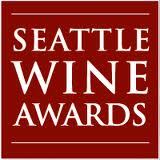 MAY 2012 : Spokane-area wineries have recently received a cellar full of awards from both the 2012 Seattle Wine Awards and the 2012 NorthWest Wine Summit. So nice to see Spokane-area wineries bring home the well-deserved hardware. Here's an all inclusive list of who-won-what that can also be used as your what-to-taste-next list. Cheers to our local winemakers. Way to represent! Oh my goodness! an amazing article dude. Thank you However I am experiencing issue with ur rss . Thanks! I think the RSS is now fixed. Cheers!